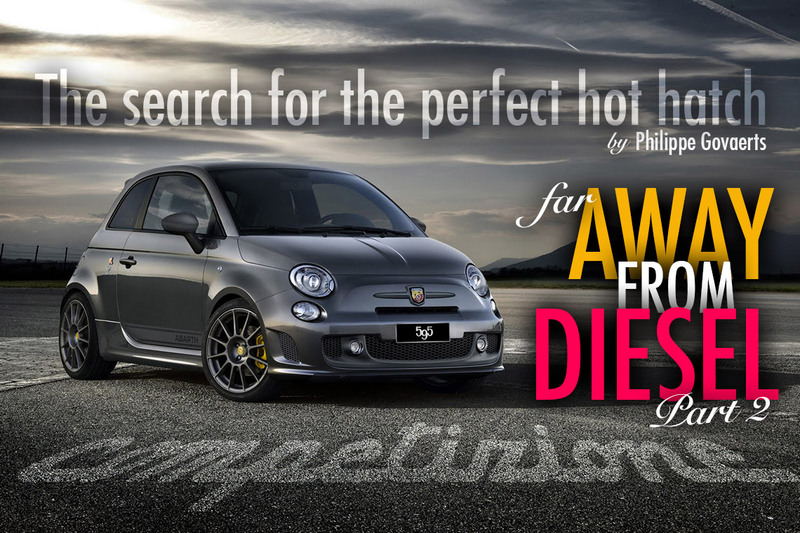 The search for my first hot hatch – Part 2. 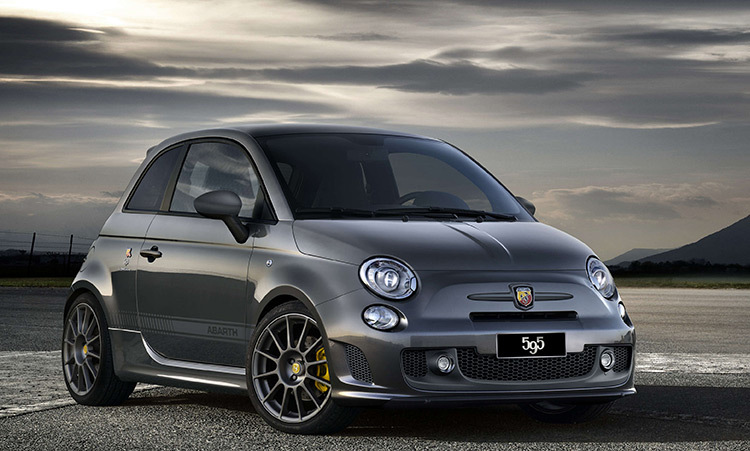 The Abarth 500 / 595 Competizione tested. Although since that moment I had been starting to appreciate the little car a lot, I would never have thought that seven years later, I would be looking into possibly buying this kind of car for myself, but I did! I was able to arrange a test drive with a dark grey 595 Competizione a few months back. I was very excited when I arrived at the dealership. Before going for the drive itself, I walked around the car probably ten times, trying to absorb as much visual details on the car as I could. The “595” and “Competizione” badge is something that is noticed immediately when the car is standing in front of you. It really pops out as it’s not only mentioned on the rear of the car, but also on the side, right behind the doors. I also discovered that this particular car had the optional Record Monza exhaust fitted with the 4 exhaust tips, which looks extremely aggressive on such a small car. The car is fitted with a 1.4L, 4-cyl turbo engine which produces 180 horsepower. On a car with a weight of only 2360lbs, that’s plenty of power to play around and have fun with! Because it was the Competizione version, it had the very expensive and stylish looking Sabelt bucked seats. At this point, I was already sold on this car. But of course, I had not gotten in and driven it yet. I opened the door and took place behind the wheel. And while until now I only noticed positive things, this is the moment where I was starting to get mixed feelings. I’m 6’2″ tall, and I was almost scraping the roof lining. I was pretty certain that I would bang my head against the roof when driving it through the first pothole probably one mile down the road, as we have such great roads here in Belgium (not!). I must say that in our NB Miata, I don’t have much head room either, but it’s a weekend car, and 95% of the time we drive it is with the top down. But the car I was about to test, would become my daily driver, and with only that much headroom, I did not look good. While I mentioned that the Sabelt seats looked great, they were clearly designed for small Italians. They are so narrow that, when seated, my upper legs were resting onto the side bolsters. This started to feel uncomfortable already after 5 minutes. I started focusing on the fantastic looking steering wheel, but then I noticed that the wheel was fixed. You would think that in a car like this, at least one engineer would have thought to install a height adjustable steering wheel, right? Well, apparently not. After playing around with the seat height, I failed to find an ideal driving position, but I ignored that and went for the drive. I started the engine while I accidentally still had the door open, and wow, what a sound! You would never think that this car is powered by a tiny 1.4L, 4 cylinder engine, judging from the sound of the Record Monza Exhaust. For just a split second, it felt like I was starting something a lot more exotic than what it actually was. The car I drove was an automatic unfortunately, but you can luckily still use the shifting paddles behind the steering wheel, if you wish. The ride was firm, but not too harsh, although it was quite bumpy due to the combination of the short wheelbase and stiffer suspension. The car’s throttle response was fast and aggressive. Yes, there was some turbo lag, but that didn’t bother me at all. During the drive, the sound that was orchestrated by the exhaust followed by some regular pops and bangs put a smile on my face immediately. It is something that I had never have thought I would experience in a car like this. The amount of power in this car is more than enough in a car of this size, it really is fun to drive and you feel like an actual racing car driver. But, I really wasn’t feeling comfortable while driving at all. You should be able to sit “in” a bucket seat, that’s the whole idea behind it. I wasn’t. I was “on top” of it during the whole drive. When I got back to the dealer, I already made the decision not to buy it while I was still in the car. I was not feeling good because I really wanted this car badly. I like the design, the nimbleness, the heritage, the sound, the driving feel and the whole idea of the package you get. But, it just wasn’t the right car for me I’m afraid. If I wouldn’t have to drive it on a daily basis, it would be ok maybe, but the problem is, I would. That’s what a daily driver is for. Luckily, I still had two more cars on my list that I hadn’t checked out yet. You can read my review on the Renault Clio IV RS 200 EDC by Renault Sport next week, only on RallyWays. Note: This review is a very personal approach. It might not completely apply to you. 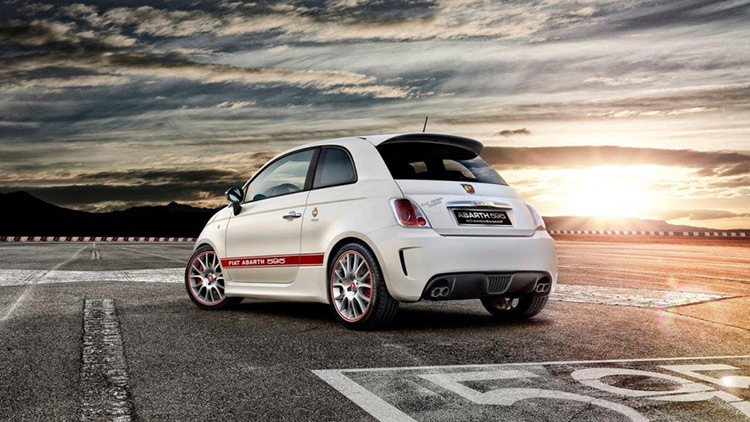 For this reason, make sure to try out an Abarth 500, or even better, the 595 Competizione, if it’s available in your country. The car may have not been a perfect fit for me, but it’s still fantastic. It might be the right one for you. Overseas RallyWays author living in Belgium, Philippe Govaerts is a photographer mainly interested in cars and racetracks. He loves road trips including those to the notorious Nürburgring Nordschleife. Philippe is also a big Porsche and Miata fan.